Ralph Sims began his career in Sustainable Energy at Massey University, New Zealand in 1971 making and testing biodiesel from animal fats. After 4 years based at the IEA (International Energy Agency) in Paris (2006-2009) as a senior analyst working on renewable energy and climate change mitigation, he has now returned to his position of Professor of Sustainable Energy, and Director, Centre for Energy Research which has had numerous post-graduate students and developed 15 internet-based papers on energy and climate. 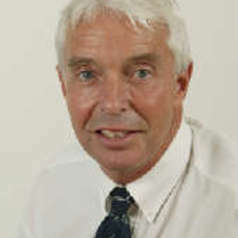 He is consulting for the OECD on energy and rural development, writing policy sections of REN21 Global Status Reports, researching on distributed energy systems, a Fellow of the Institute of Professional Engineers and of the UK Institute of Agricultural Engineers, a Companion of the Royal Society of New Zealand and received the 2010 Outstanding Achievement Award from the NZ Energy Efficiency and Conservation Authority (EECA) of which he was a ministerial Board Member appointee for 3 terms.